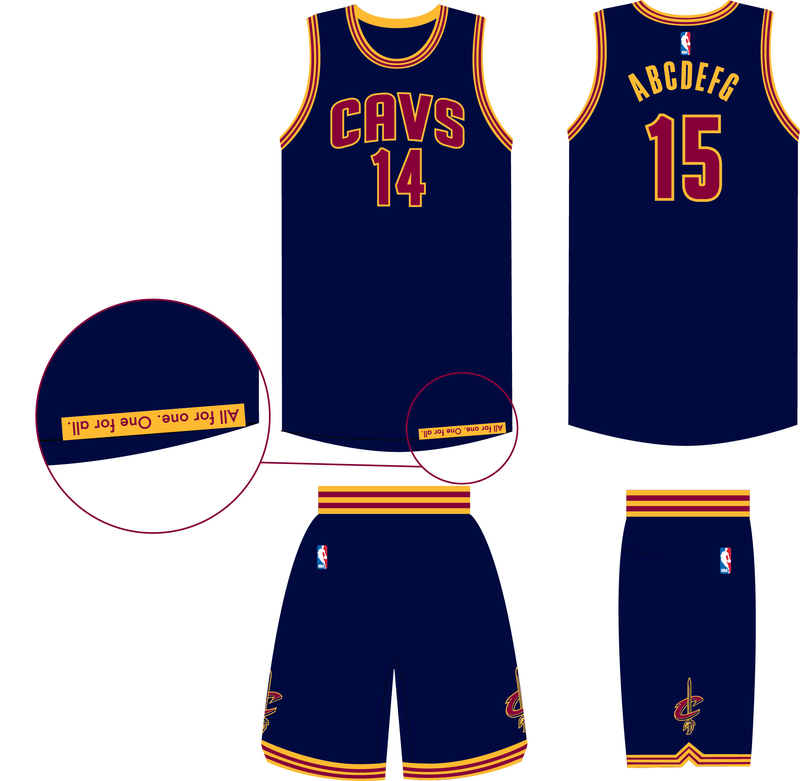 UPDATE: The Cavs have made it official – they’ll sport these new, navy duds on opening night later this month. Suited up in their new navy uniforms with wine and gold letters, numbers and trim, the Cavs will make a fresh on-court debut for their home opener against the New York Knicks on October 30th at 8:00 p.m. The navy uniform will rotate with the existing gold uniform to serve as the official alternates to the team’s home white and wine road uniforms throughout the season. It’s all about the new hotness for the Cleveland Cavaliers this season. Team owner Dan Gilbert tweeted out a picture of a potential new jersey design for his squad Wednesday night.